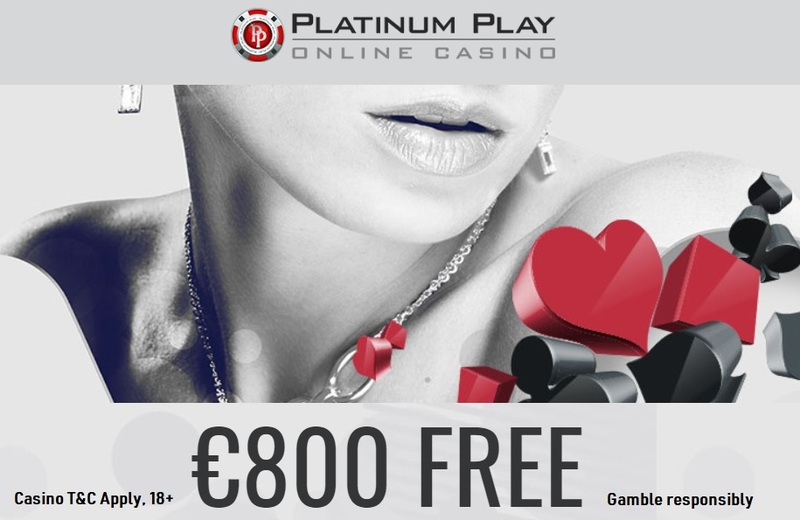 Platinum Play is part of one of the biggest online casino groups in the world: Digimedia. For nearly two decades this casino group has flown the flag for Microgaming and the Fortune Lounge Group, offering big bonuses and many top titles. But is Platinum Play still as strong as it once was? We take a closer look in this Platinum Play review. You can get up to $800 when you signup to Platinum Play. This is paid out over the course of three deposits (learn more about matched deposit bonuses), and every now and then they also throw some free spins into the bundle. Just click the Platinum Play casino link on this page to take advantage of that bonus and whatever other offers they have right now. Platinum Play have loyalty bonuses and reload bonuses to keep players interested. This is something they have always tried to do, something you will see on all Digimedia casinos. These days you don’t quite get the excitement of the big sweepstakes you used to get on the Fortune Lounge Group, but there are still plenty of bonuses to secure as a loyal player. 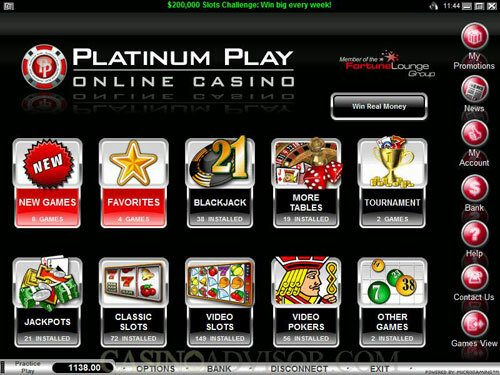 Platinum Play only uses Microgaming, a trend that is common with all Digimedia casinos, including Royal Vegas. You can either download their casino onto your desktop or mobile device, or you can play it through your browser. There is a withdrawal limit of just $5,000 a week on Platinum Play, which is a little disappointing. As for the withdrawals themselves, there is an official pending time of 24 hours, but in our experience it actually takes around 3 to 4 days until our money is released. This is okay with web wallets like Neteller, as the payment will the land in your account instantly, but it’s not okay with wire transfers and credit/debit cards, as it can mean the entire process takes 7 to 10 days. Platinum Play has been going for a long time and has had no disasters with regards to security. That’s rare in this day and age, but it’s common or online casinos because they are as safe as can be. They are regulated by the Malta Gaming Authority, they use a 256-bit SSL certificate and they are also audited. Customer support used to be great on all Digimedia casinos, including Platinum Play. These days they have dropped the ball with some of their big named brands and Platinum Play seems to have felt the effects of that the most. The support is still there, there are still plenty of options and they are helpful when they finally get in touch, but it can be a slog at times. What should be taking a few hours takes a few days, and it can be frustrating. Can I Play Platinum Play on my Mobile? The Platinum Play mobile casino can be downloaded onto Apple and Android and has many of the same games you will find on the desktop casino, as well as a bunch of mobile-specific titles. Can I Use PayPal on Platinum Play Casino? There is no PayPal accepted on Platinum Play, either as a deposit or a withdrawal option. PayPal is not as popular as Skrill in the online gambling sector, so this is not uncommon. There are many Paypal casinos out there though if you want to use this method. You can use Neteller instead (read more here). How Can I Contact Platinum Play Casino? Platinum Play is very fair, as evidenced by the eCogra assessment you can find not the site’s main page. This shows the payouts for all of the games and ensures complete transparency. Platinum Play is not as good as it used to be, we’ll be the first ones to admit that. We remember how much better this casino and other Digimedia casinos were compared to the competition some five, six or seven years ago. They no longer have that dominance, but they are still a solid casino and one you should definitely consider signing up for.